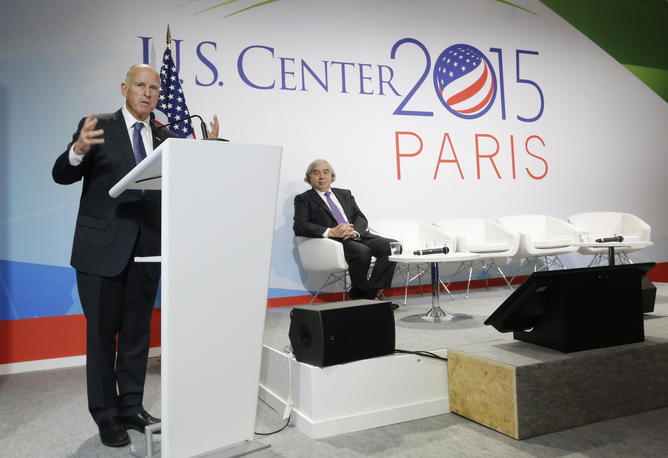 California Governor Jerry Brown, seen here at the Paris climate summit with U.S. Energy Secretary Ernest Moniz, was a prominent figure at the international meeting because of the state’s aggressive actions on reducing greenhouse gas emissions. 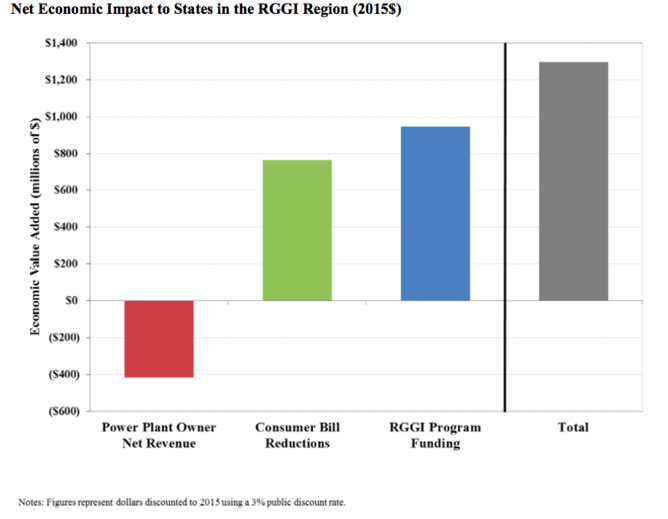 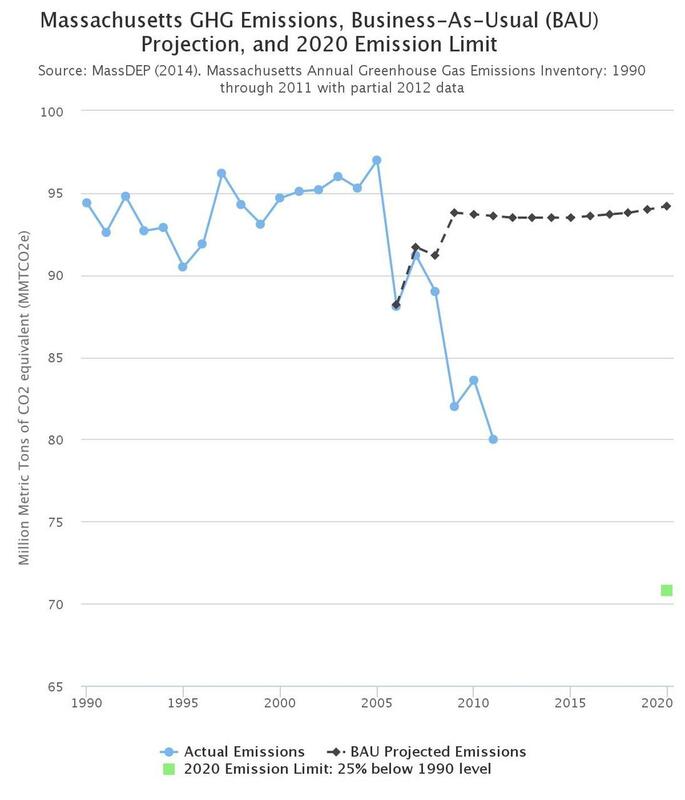 Since implementing a regional cap-and-trade program for utilities and a series of laws geared at energy efficiency and renewable energy, Massachusetts’ greenhouse emissions have dropped compared to a ‘business as usual’ scenario. 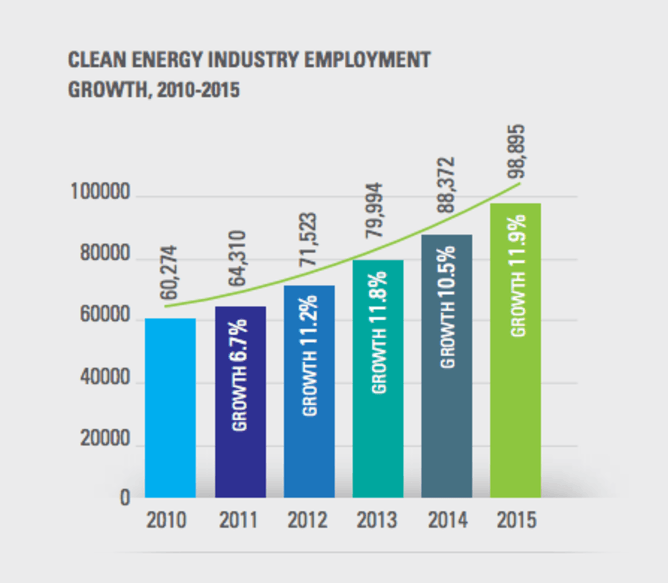 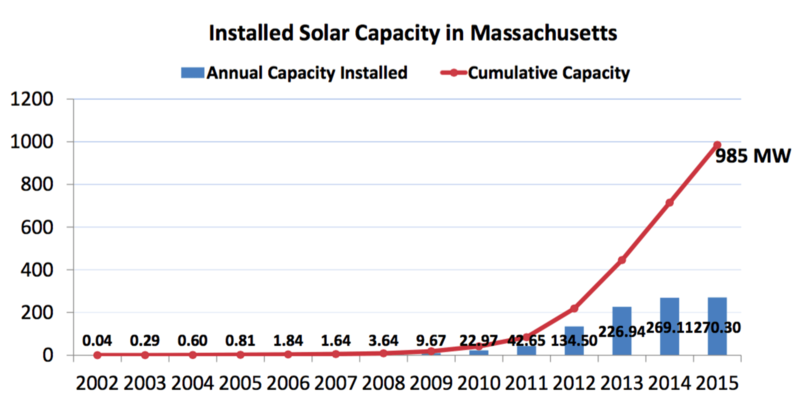 Job growth in clean energy sector in Massachusetts.